In the year 1928 it was no longer allowed to sell home produced wine through other shops, but the winemakers could still sell their own wine in privately own shops. They could still produce, but they have to deliver or sale the production to the union. The union of wine makers got a monopole of all commercial trade of wine. 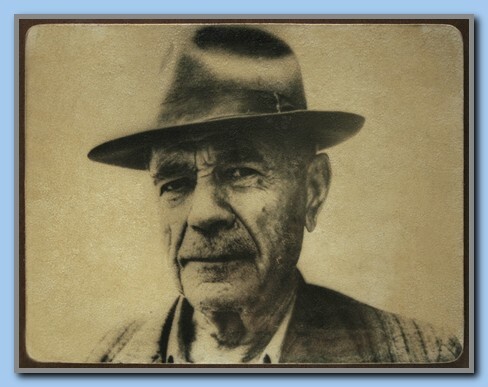 The same year, 1928, mr. Panayotios Frantzeskos left Samos Island and settled in Thessaloniki on the mainland of Greece. 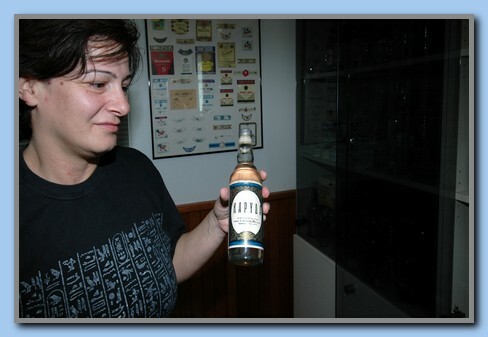 From there he brought the recipe of Ouzo, which they still use. Panayotis had three sons, Giannis, Evangelos and Gregory. Gregory is they only surviving of the founder’s sons. He is father to Evangelia, who work in the factory’s office. Giannis, dead in 1998, became earlier CEO. He is father to the present CEO Panayotis and office manager Aspa. She was our guide while we visited the factory and helped us a lot in our research. 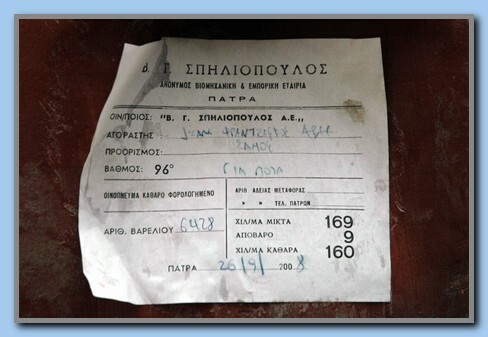 Evangelos, dead in 1989, was also working in the factory. 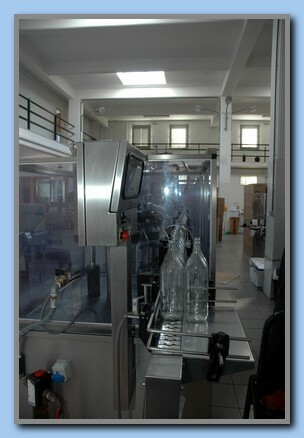 About 1930 Panayotis returned to Samos and started production of Frantzeskos Ouzo in Vathi (the town of Samos). 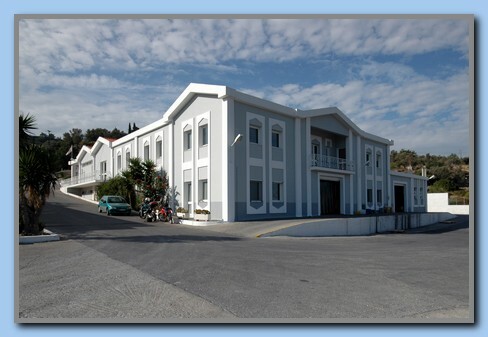 The production took place there until 1993 when they moved to a brand new and big factory in Floka, between Vathi and Kokkari. There are two buildings, but only one is for the production, the other one is for wholesales of all kind of beverages to shops and restaurants all over the island. 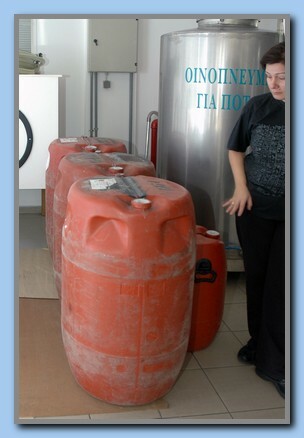 Water for the production is taken from a water source in Kokkari. 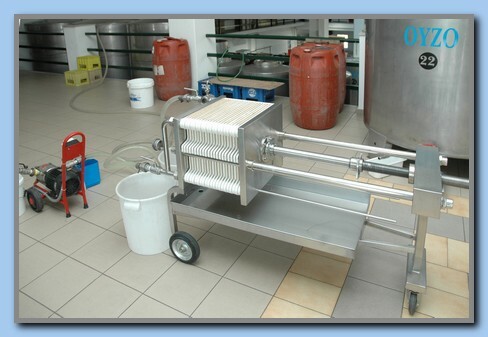 The factory is connected to a local source, but the quality of the water does not satisfy the owner. They use the local water only for cleaning. 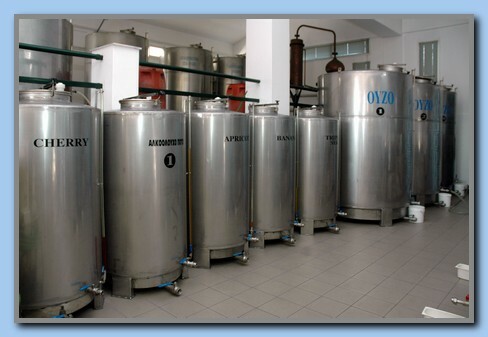 Now they produce two different types of Ouzo, standard and one with more anis and aroma. 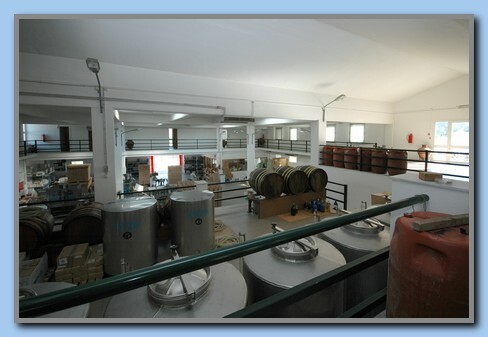 The production of Ouzo is the most important; only 5% of the productions are other products, such as Samos brandy, 3 and 5 stars and 6 different liqueurs. The different brands of liqueur are: Apricot, Cherry, Banana, Triple Sec, Cacao, Blue Curacao. 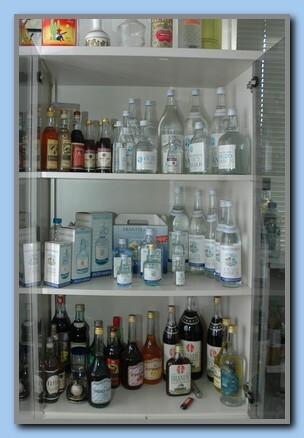 The company produces about 500.000 liters of Ouzo every year. 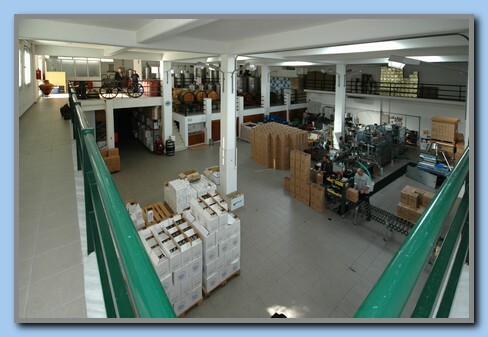 The production of Ouzo takes place the whole year with a permanent group of employees. 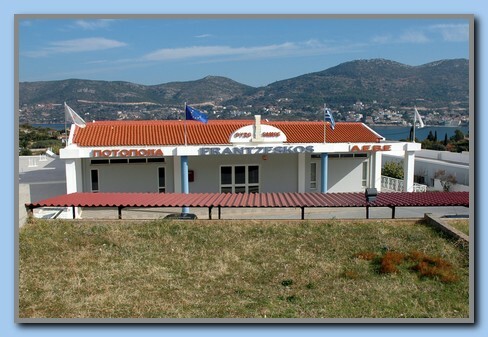 As a supplement the company is an important wholesaler and distributor of all kinds of beverages for shops, bars, restaurants, hotels etc all over the island of Samos. Through other wholesalers and distributors they served the mainland of Greece, but there is now export abroad temporarily. 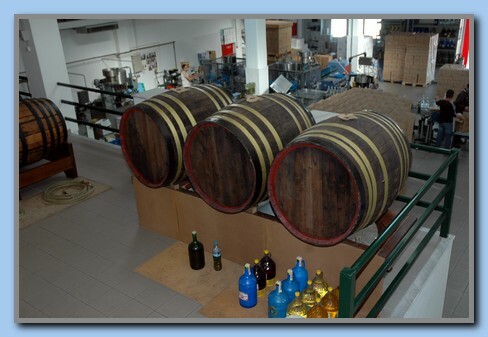 All crude alcohol, in other words, clean 96% alcohol, is bought from different distilleries in Greece and the alcohol arrives in 200 liters barrels. 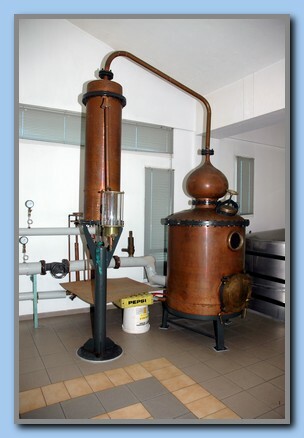 The factory makes their own Ouzo-concentrate in their own distillery. 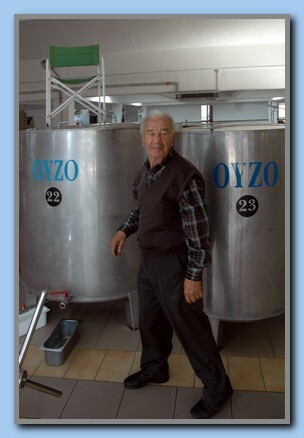 The secret recipe of Frantzeskos Ouzo is known only of Gregory and Panayotis. 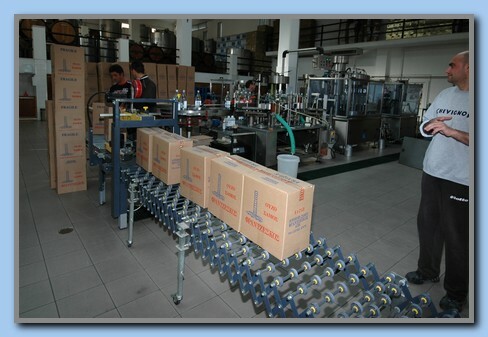 All standard bottles, the round ones, are filled, marked and corked automatically. 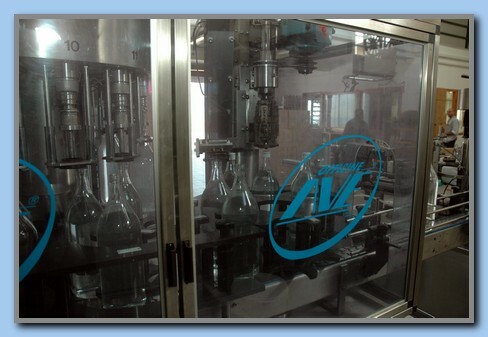 In one end of the production line the employees fill up with empty and unmarked bottles. 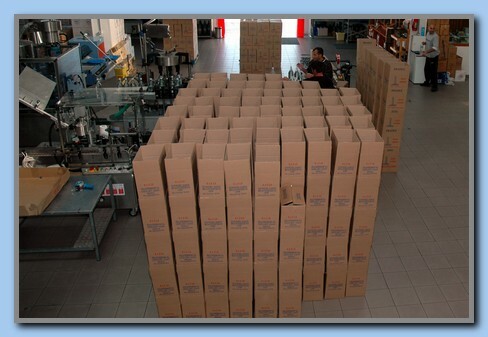 In the finish end of the line all the bottles were stacked in cartons for storage and sale. Miniature, square- and all other special bottles are filled, marked and corked by hand. 3 stars brandy mature in oak barrels for about 6 months, while 5 stars mature for about 2 year. All kind of brandy are produced with basis in the sweet local Samoswine. The brandies have therefore a characteristic taste of raisins.